Are your gums bleeding? We tell you what to do about it! Happy weekend guys and welcome to today’s article! I want to address something that I get asked quite a lot. Some patients ask me worried if bleeding gums or seeing blood after brushing is bad. Is it really a bad sign? Well the short answer is maybe, and today we will see why is that exactly. Keeping your gums nice and healthy is important to enjoy a nice smile and sport it for the world to see. Bleeding gums can be a sign that there is something bad happening to your mouth. However, it can be a false alarm and it just means that you are overly aggressive with your brushing. Keep in mind that gentle strokes is the way to go. There is no need to bash away and scrub really hard to clean your teeth. Slow brushing and the use of dental floss and mouth wash is the best course of action to get a beautiful white smile. Anyways, if you see blood after brushing or blood in your gums, see a dentist as soon as possible. There is no possible way that you see the real reason behind it by yourself. A dentist is the most capable professional to attend this kind of problem. If you are interested is specialist in the area for a cheap price come to Dental Solution in Los Algodones Mexico. We will be more than happy to help you. 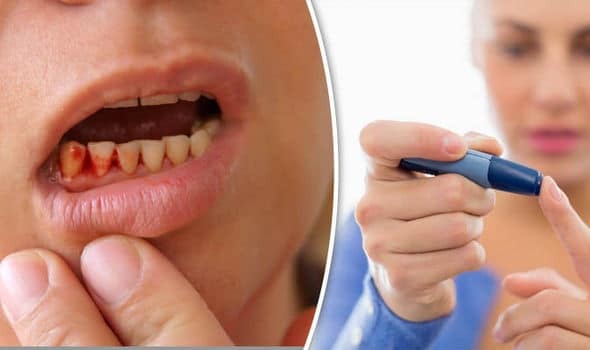 The reason you are seeing blood in your gums can mean as I said before a bad dental care routine. But it can mean something a lot worse. 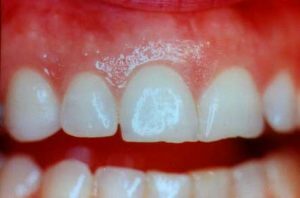 It can be a clear sign of gingivitis, one of the most common gum diseases out there. Or maybe diabetes. Gingivitis can be caused by bad dental hygiene or other infections. You should be r eally careful because if it is not attended in time it can develop in periodontal disease. And that is just plain bad news for you teeth. Periodontitis can make you lose not only your gums, but your teeth. That is why I tell you to be very careful and suggest you see a dentist right away. Usually you see other symptoms such as bad breath and receding gums. But that does not mean that you can let your guard down for a second. Try to treat your dental hygiene as top notch condition as possible to avoid these problems. First of all, up your dental hygiene routine game. Brush at least twice every day, especially after meals. Use antiseptic mouthwash and dental floss to get rid of the food debris. Just by changing your habits you can improve the state of your mouth’s health. But unfortunately this is not a solution, you will need the help of a dentist. Or a periodontist in case you are at that stage. After an examination your dentist will suggest the best treatment for your case. This will depend on the condition of your gum and the disease. Sometimes a good deep cleaning will be more than enough. Other time a root scaling is necessary to get rid of the gum disease. It is important to take note that the rate of success will depend on how early the patient decide to treat his or her condition. Do not be lazy and visit a dentist twice a year to keep a good dental health. Regarding the receding gums a gum grafting will leave your smile just like new. I want to end this article with a reminder that you can save more than 50% in dental with us in Dental Solutions Los Algodones.